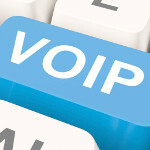 Com Computer can evaluate your needs and pair the best-fit VoIP solution for your business. Our solutions are scalable to accommodate your company’s growth. VoIP is available on many smartphones, personal computers, and on Internet access devices. Calls and SMS text messages may be sent over 3G/4G or Wi-Fi.